Between sweat, sunscreen and travel (or should I say kinda bad eating and not enough sleep!) I’ve definitely had some skin struggles here and there this summer. I’ve actually gotten fairly irritated about it at times because, for me, I can definitely let those type of issues get to me. I feel like everyone sees how dull, tired and broken out my skin looks and that makes me oddly self-conscious. I don’t get really that way about many things, I can fix a bad hair day, change an iffy outfit, but literally not feeling comfortable in my skin will drive me insane. So, for the last few weeks, I’ve committed to myself to improve my skin and take better care of it. I have consistently, with the exception of our days in Toronto, used one skincare brand (more on that in the next couple of weeks) and tried my best to keep the routine going no matter how tired I am or what I’m doing on any given day. 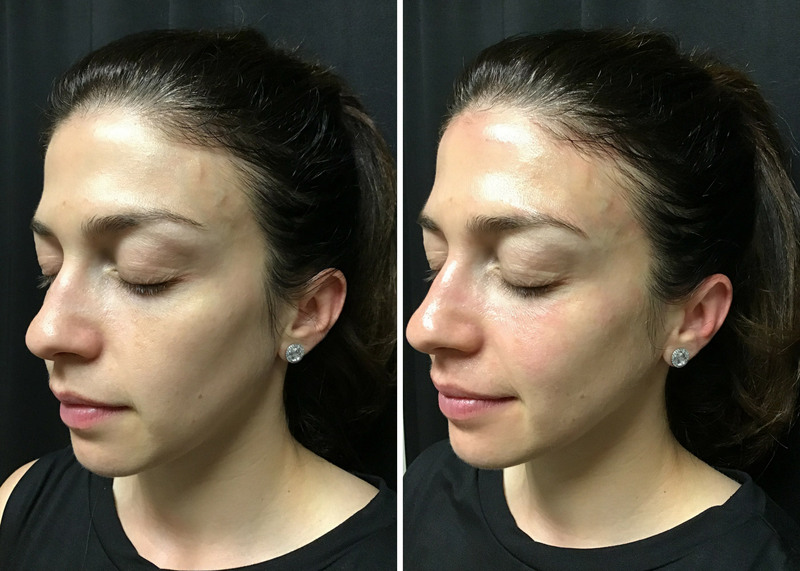 As a little bonus, last week I got to try a Radiance HydraFacial at my client’s spa, Tondue Medical Spa. 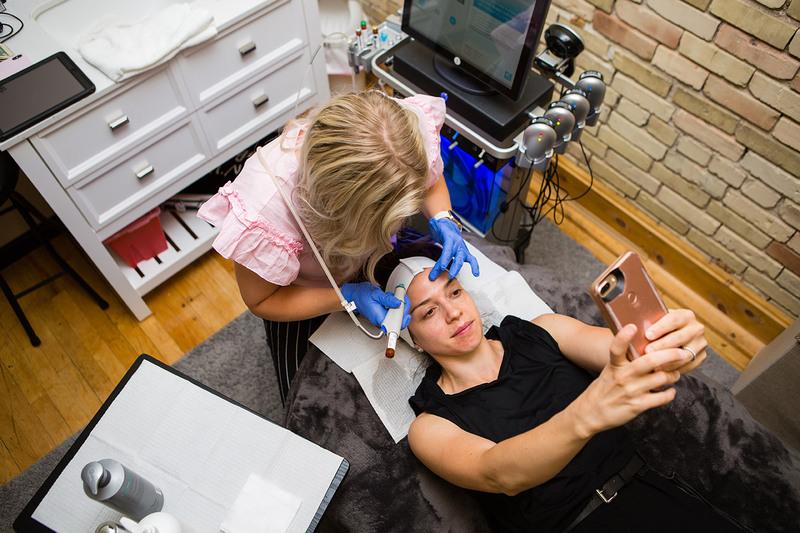 I’ve mentioned before that I get my Botox done there, did my CoolSculpting there (and I swear I’ll do a post about it) and I’ve had a regular HydraFacial before, as well but the Radiance HydraFacial was new to me. You can actually see my entire treatment done and described on their Instagram story (@tonduemedicalspa) highlight “HydraFacial” right now. If you’ve never had a HydraFacial before, they’re actually pretty relaxing. It takes about 30 minutes, there’s no pain or downtime and you leave with your skin feeling soft and glowing. 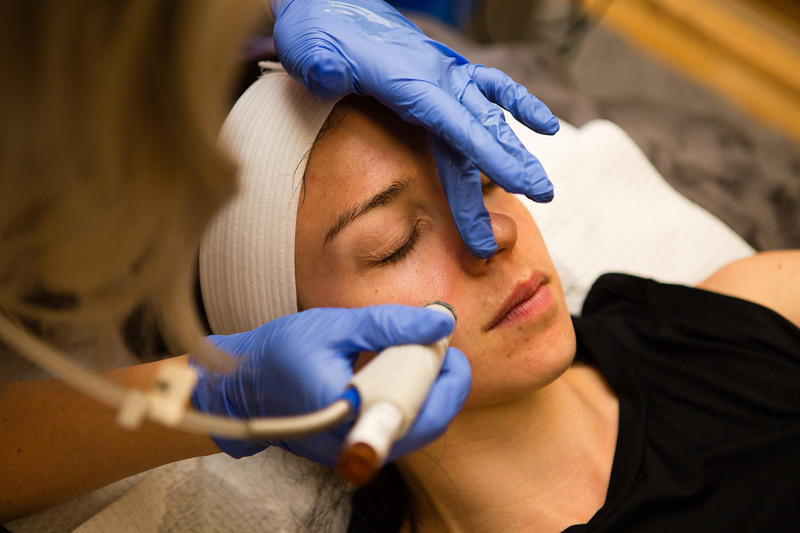 The HydraFacial always has a few steps that stay consistent: Cleanse, Peel, Extractions, Hydration. During each step, your provider uses a wand with a different tip (some have suction, some are infusing the skin, some are exfoliating, etc.) to treat your skin. With the Radiance HydraFacial, there are a couple of extra steps. First up, during the Hydration phase, you are treated with a brightening serum called Britenol. It treats hyper pigmentation, dark spots and general discoloration. I have this from melasma during my pregnancies and it tends to get worse with heat in the summer. And then to finish up, you get the red light therapy step. The red lights help infuse the products deeper into your skin to really get the most benefit that you can from the treatment. I loved it because I really felt like I needed that layer of dull skin gone and a little polishing. Right after, my skin was a little bit red but not bad. I felt like it looked more hydrated, lifted and smoother right away though. As far as after care, I just went home and let my skin take it all in, so no make up for the rest of the day (although I had nothing to do, and you could put it on if you needed to) and I washed my face as normal that evening, with no extra exfoliating. I really started to see my results the next day and now, a week later, I think I feel them even more. My skin is really soft and it feels more even. I also felt like the pores on my chin were really congested and I don’t notice that now. 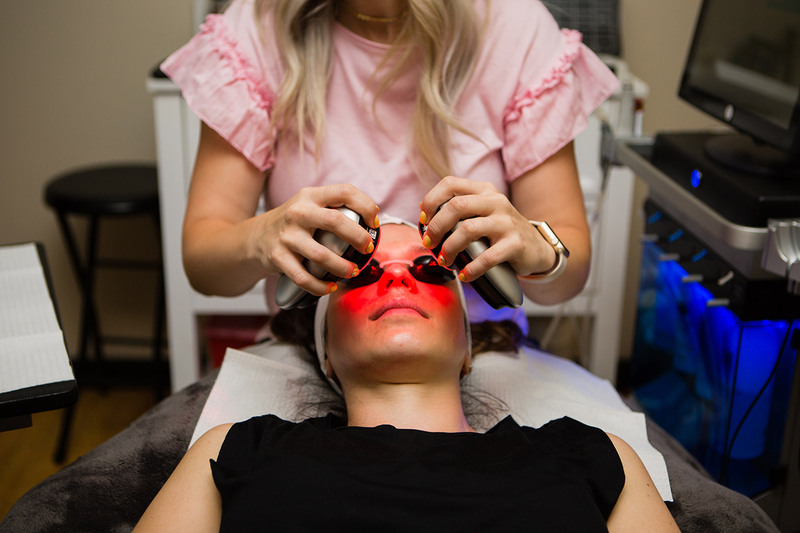 If you are local and interested in trying a Radiance HydraFacial, Tondue has a special on them this week (ending on 7/28), you get one for $195 (normally $220) or a series of 3 for $585. You can call (989-598-8001) to purchase this week and get the special and then book your appointment at a later date. 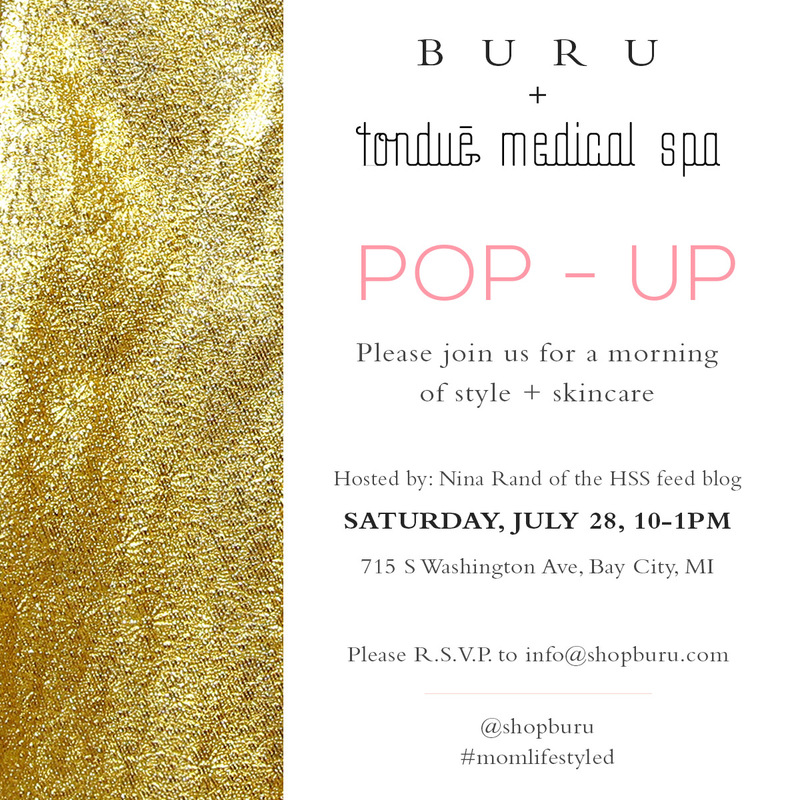 You can also purchase when you come to our BURU + Tondue event this Saturday! And when you purchase from both BURU and Tondue, you’ll get a thank you in the form of gift cards to both places for a future purchase.